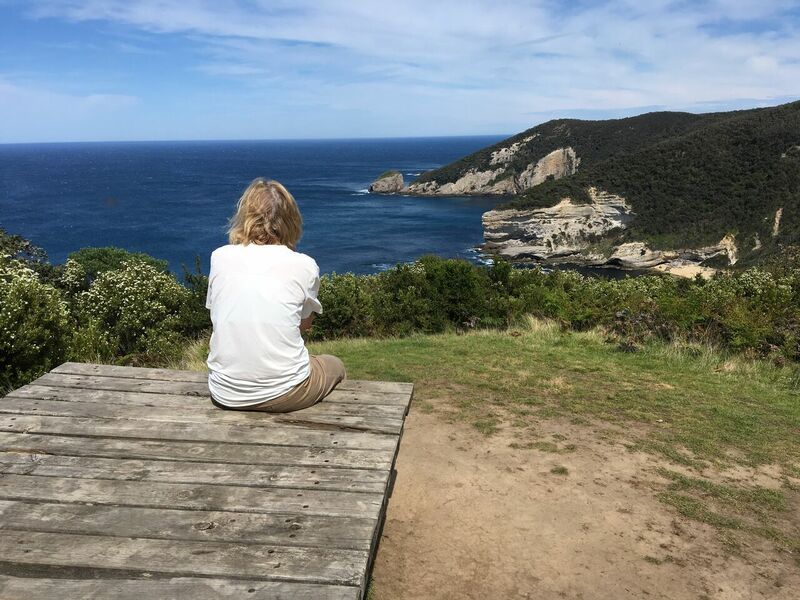 SELF GUIDED Four Day Easter Itinerary - the last section of the Great Ocean Walk, 71km. The walk starts in Cape Otway and ends at the iconic 12 Apostles. You stay in accommodation in a wonderful location close to the Great Ocean Walk. 9am Meet in Apollo Bay at our Walk 91 shop Welcome briefing. We will hand you your map, walk notes, epirb, lighthouse tickets. We will brief you on your walk and answer any questions you may have. We will hand you a pack lunch (menu supplied). Please let us know if you have any dietary requirements/ food allergies we need to consider. 10am Arrive at the Cape Otway Lighthouse. After you visit the Lighthouse (approx 45mins) you walk to Castle Cove. 4pm Transfer to your accommodation. (Will we give you text points on the day so we have an idea of your walking pace). Dinner & dessert included. Alcohol not included. You may bring your own for the duration of your walk and we will transfer it to the accommodation for you, along with your luggage. (You walk only with a day pack). You walk to Milanesia Gate. 2.30pm Transfer to your accommodation. (Will we give you text points on the day so we have an idea of your walking pace). Continental Breakfast, pack lunch & dinner/dessert included. You walk to The Gables. 4.30pm Transfer to your accommodation. (Will we give you text points on the day so we have an idea of your walking pace). 3pm Transfer to Apollo Bay (Will we give you text points on the day so we have an idea of your walking pace). Approx return to Apollo Bay 5.30pm. Continental Breakfast, pack lunch included. Walk 91 recommend that you prepare/ train for the walk (it can be difficult if you are not fit) and to study the times and km's allocated each day. Please note that if you start walking and are having trouble completing the distances we can shorten the walk distances where we are able, but cannot promise the exact times we will pick you as this will be difficult to plan for in advance (so we kindly ask for your patience on the day and we will do our very best to look after you!). Please wear appropriate clothing, comfortable walking shoes or boots and bring a 2 litre water bottle. The cheapest way to arrive here in Apollo Bay without a car is to use the v-line service.The train from Melbourne Southern Cross stops at Geelong. The bus to Apollo Bay waits for the train to arrive at Geelong train station. An easy service to use and costs under $30.00.